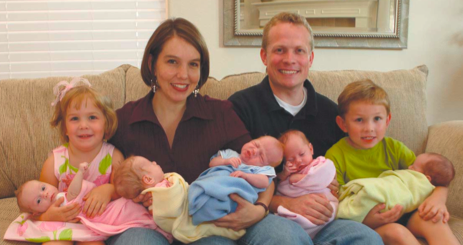 The Wilkinson quintuplets made their appearance into the world on July 31st of this year. The three girls and two boys weighed a combined 21 pounds, 7.2 ounces, breaking the previous heaviest quintuplets by 6 ounces. Rachelle managed to keep the babies in for 34 weeks, which is probably the reason why they only needed to be hospitalized for just over 2 weeks. 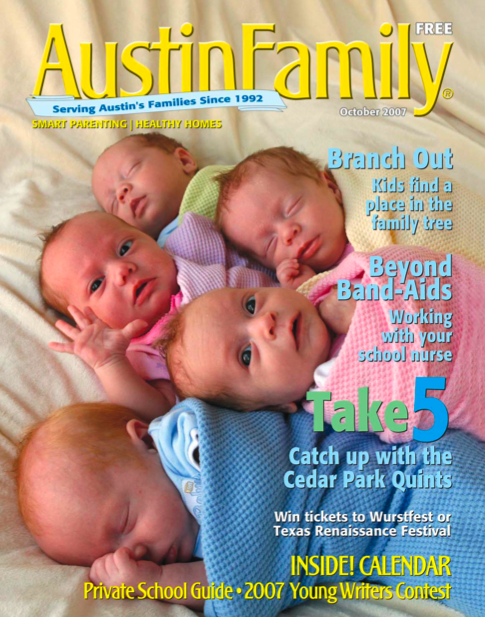 Now that the babies are all home and settled in, Austin Family has put the famous bunch on the cover of their latest magazine. All five babies are pictured with mom Rachelle, dad Jayson, big brother Riley and big sister Kaiya. The funniest quote of the interview came when Rachelle spoke about the neighbours confusion about all of the welcome home banners on the lawn. A team of 40 volunteer helps the Wilkinson’s look after the babies. The couple has 24 hour help, with a team of 2 volunteers rotating through the ‘shifts’. Rachelle pumps her breast milk every 3 hours, which she uses to supplements the babies formula. 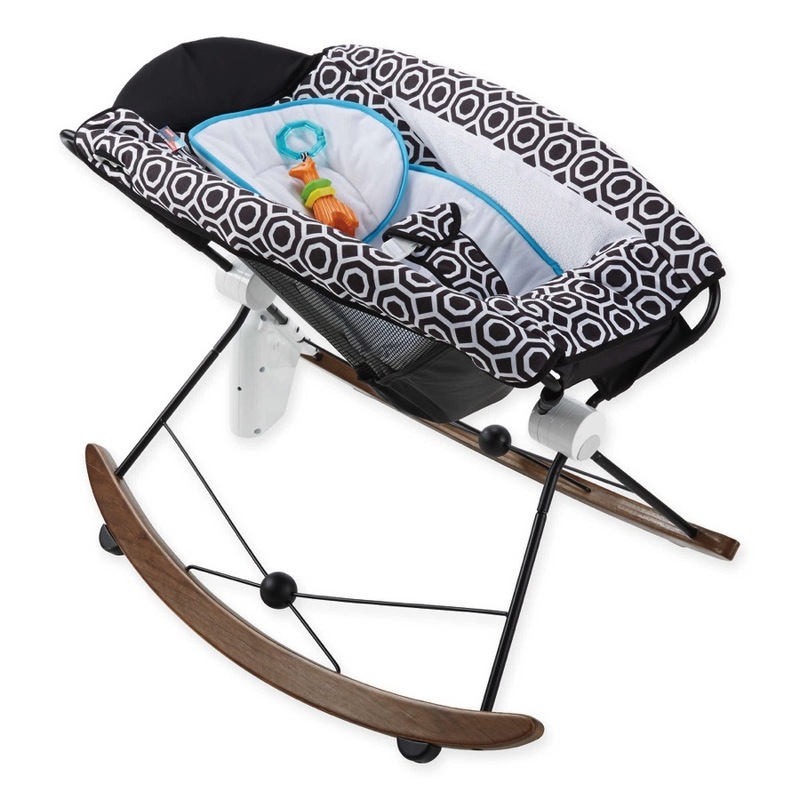 The quints all enjoy being rocked, cuddled or walked around the house. They are all starting to show their personalities with Kaydence being the feisty one, Kassidy the biggest, Rustin the laid back one, Kyndall the most alert and Ryder the fidgety, fussy face maker. The family is making this amazing situation work and even producing a show on their website called ‘Wilkinson Quint Show’. Jayson talks about life with the quints and the two older kids get their time in the spotlight as well. We hope that the road continues to be this smooth. Five infants is one thing, but five toddlers is going to be a different game. That’s the video I want to see!